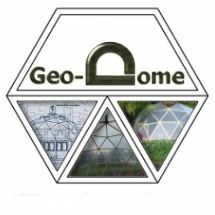 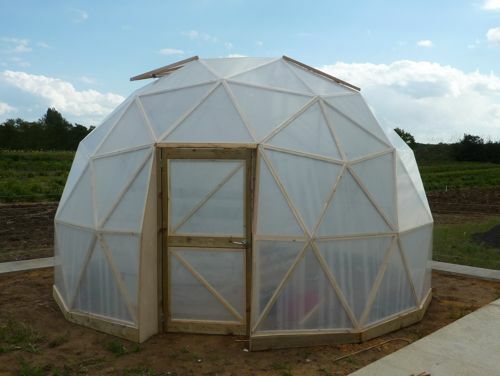 This is a standard GD18 geo-dome built for growing organic vegetables for a customer in Suffolk, the cover is sterilite polythene which has a UV inhibitor that blocks UV to 390nms, research has shown that this cover reduces both Botrytis and Mildew as well as Aphids. 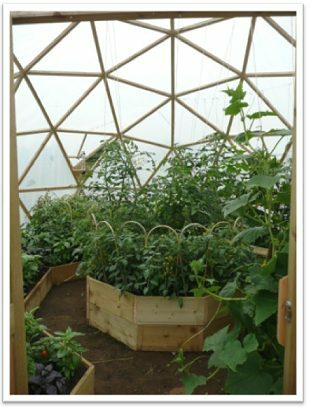 Sterilite Premium is also highly thermally efficient giving upto 4°C frost protection and saving around 15% of heating costs in a standard poly-tunnel and even more in a dome structure. 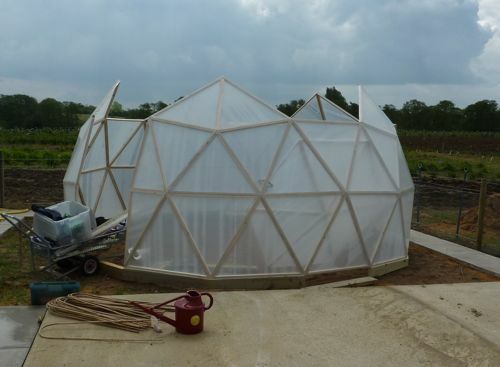 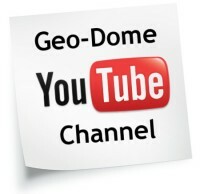 Thanks to Sharon from Wootens plants for sending me the picture below of the dome planted out.